While investigating a series of earthquake tremors, TYGRA falls beneath a split in the earth and confronts a giant worm head in the subterranean world of the MOLE PEOPLE. Following the beast, TYGRA enters the “Garden of Delights” where SILKY (half woman, half flower) feeds him a strange fruit. 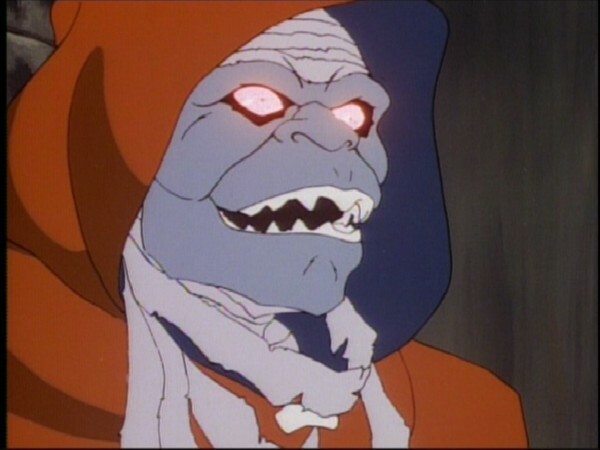 Blinded to the fact that both SILKY and the WORM are MUMM-RA in disguise, the dazed TYGRA abducts the Sword of Omens and aids the devil priest in imprisoning the THUNDERCATS. 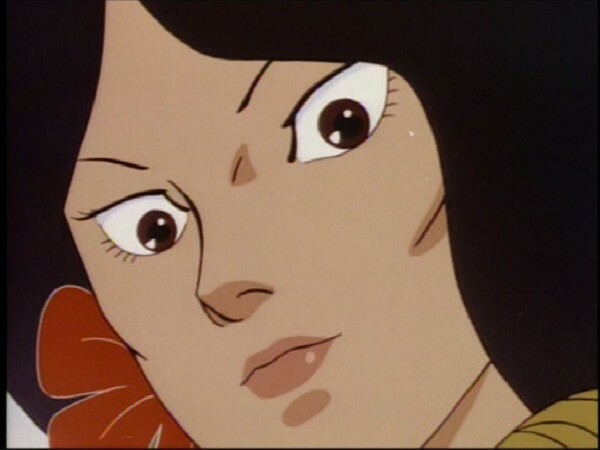 WILLA and the WARRIOR MAIDENS narrowly escape MUMM-RA’s hypnotic powers and again ally themselves with the THUNDERCATS to foil the evil plot and return the Eye of ThunDERa to LION-O. In this episode, Tygra yields to the temptation of enjoying immediate gratification, represented by the mind-altering fruit given him by Mumm-Ra in disguise. The offering proves addictive and its effects lead Tygra to a distortion of his responsibility as a ThunderCat and to a different moral struggle between his allegiance to the Eye of Thundera and a misplaced allegiance to Mumm-Ra’s powers of suggestion. At times, like Tygra, we are faced with choices between our own illusory personal pleasures and our real interpersonal and social responsibilities. The conflict over right and wrong moral choice demands we use our intact power of reasoning and be on guard against distractions from forces unduly influencing us. Person’s intent on doing evil or mind-altering substances can alter our perceptions and judgments and weaken our ability to make right choices. A purity of spirit and a sound moral judgment, as represented by Willa, are strong defenses against evil forces and temptations and their consequences. Within the genre of animated series from the 1980s, there was always a conscious effort to display every series’ heroes as clean-cut, morally upstanding figures that young people could look up to. This is highly commendable, and for so many characters (including the ThunderCats themselves), their morality itself is what makes them “human”, and also what marks them out as real heroes. 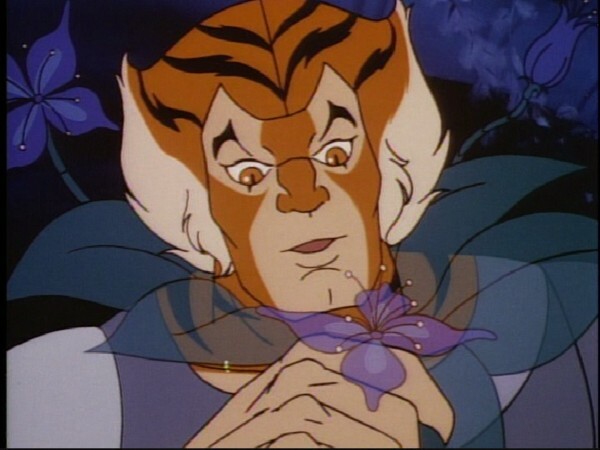 However, within any series it’s important to show character development, and the brilliant thing about ThunderCats is how the characters are seen to grow and develop, and, yes, from time to time make mistakes. An ongoing theme throughout these early ThunderCats episodes is Lion-O’s growth mentally and emotionally from a boy into a man. 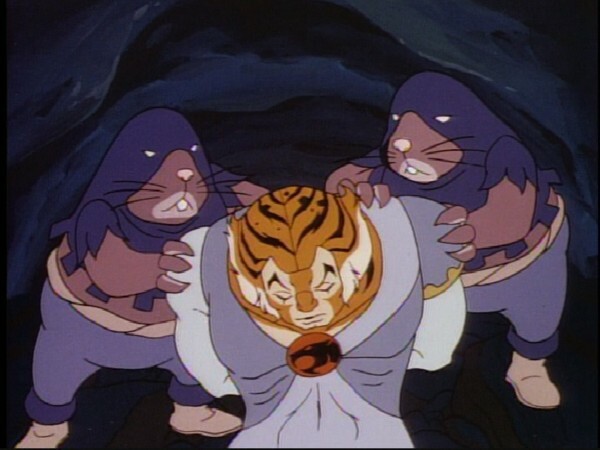 However, in this episode, we actually see that one of the elder ThunderCats can be fallible too, as we watch Tygra succumb to the mind-altering affects of Mumm-Ra’s addictive fruit. This episode is obviously an allegory for the risks of drug abuse, and the execution of this is extremely clever, for several reasons. Firstly, the choice of character to fall under the influence of Mumm-Ra’s fruit is an inspired one—whilst the obvious choices for this would have been either Lion-O or one of the Thunderkittens as the most naïve characters, instead it is Tygra who succumbs. 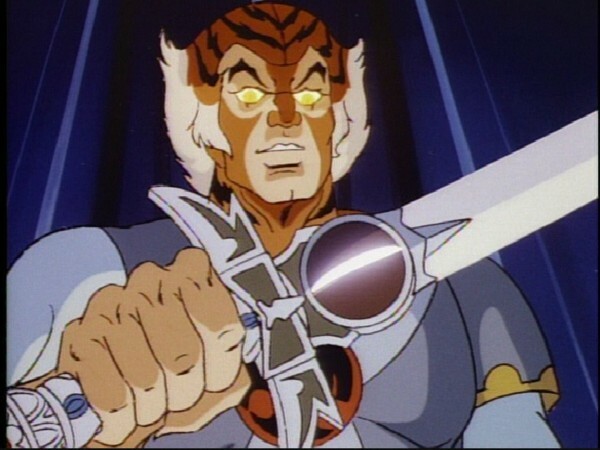 Throughout the series, Tygra is consistently portrayed as the most levelheaded, calm and rational of the ThunderCats, and so for him to become the ThunderCat addicted to the fruit is doubly shocking. Exactly why Tygra gives in so easily to the temptation of the fruit is actually something that is slightly obscure in this episode, although it would be explained in Season 3’s “Crystal Canyon”, in which Tygra again becomes addicted, this time to the confidence-boosting powers of the Keystone. Tygra reveals then that he has always been shy, and in so doing we learn why he would be susceptible to some sort of confidence-boosting stimulant. Nonetheless, seeing such a trap affect one of the most senior of the ThunderCats is nonetheless a shocking thing to witness! The second area where the execution of this episode works particularly well is in showing the ramifications of Tygra’s drug taking (or “fruit taking”!). 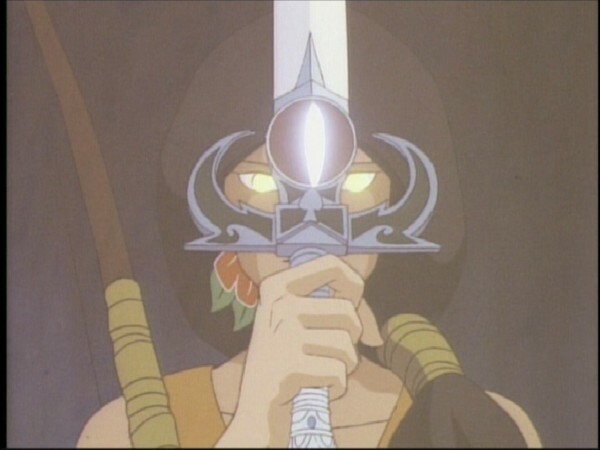 By eating the fruit, Tygra falls completely under Mumm-Ra’s influence, and steals the Sword of Omens in exchange for more of the fruit. This is obviously comparable to the scenario where a drug addict will steal to fund their habit. In a way this exemplifies why ThunderCats was so effective at promoting good moral messages, because the series at its best didn’t lecture its young viewers, but instead showed them examples of why behaving in a certain fashion (either positive or negative) can lead to a certain end result. I have to confess that, when I first saw this episode as a six-year-old, I found it slightly confusing, and I have to say that if I had a criticism of this episode it would be that certain elements to do with Tygra’s hallucinogenic drug taking are not explained very clearly. 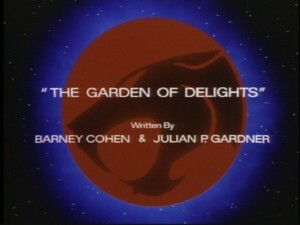 However, watching it through more mature eyes, this episode marks itself out as easily one of the most unique and groundbreaking of the entire ThunderCats series, with exciting visuals, superb dialogue, and a story that enriches the whole ThunderCat mythos. Outstanding! 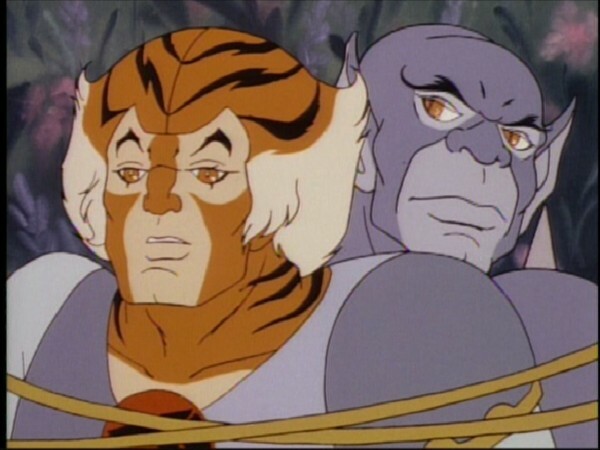 This episode’s original script features quite a lengthy deleted scene where Lion-O, Cheetara and Snarf go off to train, leaving Panthro and Tygra in the Cats’ Lair control room. This scene would lead into the opening exchanges of dialogue between Panthro and Tygra that we see in the episode. 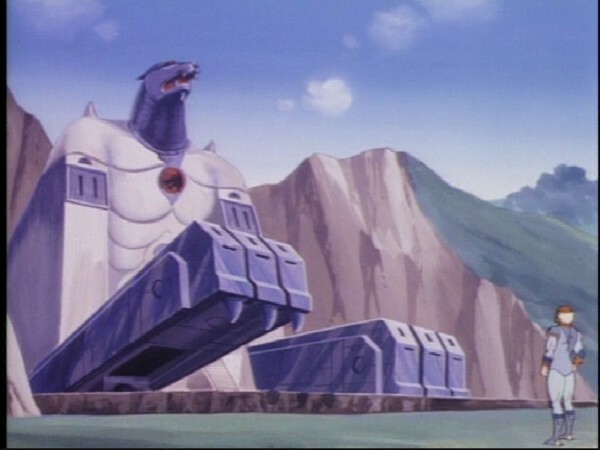 There was also originally to be a cut back to the scene of the ThunderCats training, positioned in between the shots of Tygra falling down the chasm and him climbing back out of it. 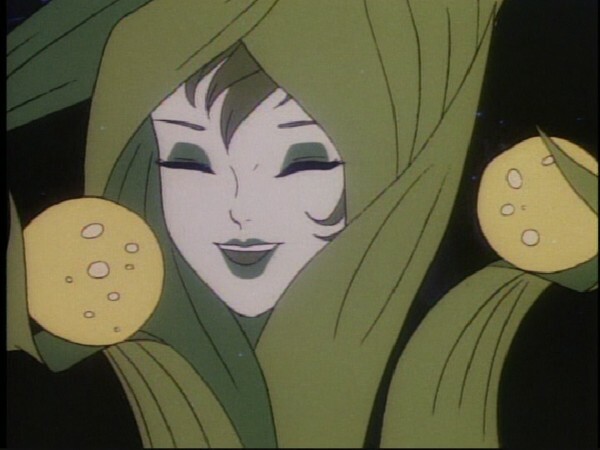 When Mumm-Ra ensnares Tygra in this episode, he assumes the guise of a humanoid flower creature named Silky. However, in the original script, we discover that Silky was originally planned to be shown as a part-girl, part-pony creature! The script describes her as having a ponytail on her head “as lush as the one on her tail”, which provides insight into why the character is named “Silky”! 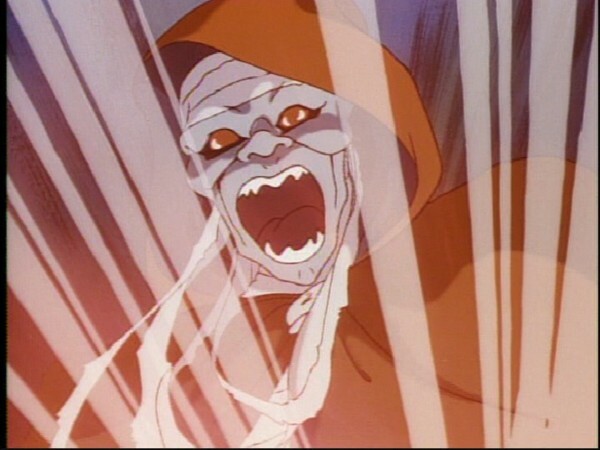 The scene in this episode where Mumm-Ra, within his Pyramid, wrestles to control the Sword of Omens was originally planned to feature a couple of lines of dialogue that were omitted from the final cut. The most interesting line to be cut was one where Mumm-Ra speaks to the Sword and states that he knows of it, “and of Jaga the Wise who forged [it]”. The suggestion that it was Jaga who forged the Sword of Omens is highly unusual, and so it’s possible that this line was cut because this concept was discarded. 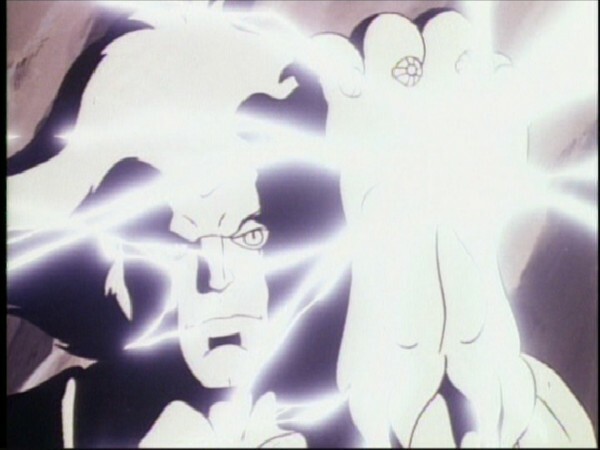 In the original script for this episode, when the Mutants enter Mumm-Ra’s pyramid and are presented with the revelation that he has captured the Sword, a few lines of dialogue were originally planned to be spoken by the Mutants. In one such line, S-S-Slithe tells Mumm-Ra that, by summoning them, he interrupted a game of skull and bones. 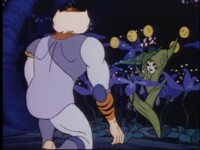 This leads into Mumm-Ra’s line “The game is won, my friends”, which became the first line of dialogue for this scene when the episode was completed. When rebroadcast on Cartoon Network in the early 2000s, this episode was re-edited to omit the first act, opening instead with Mumm-Ra already in possession of the Sword of Omens and Tygra inexplicably under his spell.